You can say a lot of things about Kinect but you can't say it isn't selling well. Microsoft just announced that Kinect, which launched last November, has sold through over 10 Million sensors, blowing initial sales expectations out of the water and breaking the Guinness World Record as the Fastest-Selling Consumer Electronics Device. Kinect sold on average 133,333 units per day for a total of eight million units in its first 60 days between November 4, 2010 and January 3, 2011. Kinect sensors aren't the only success story -- Kinect exclusive games have sold in excess of 10 Million units making it a very profitable venture for software developers. 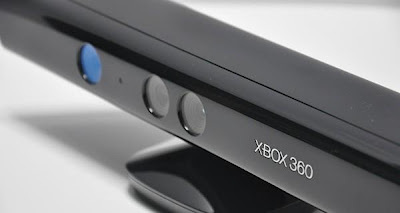 Following one of the biggest launches in consumer electronics history, Kinect for Xbox 360 continued its momentum in 2011, reaching 10 million Kinect sensors sold worldwide to date. Not only were sensor sales an overwhelming success, but Kinect drove significant game sales with more than 10 million standalone Kinect games sold worldwide to date. In a nod to the recent sales success of Kinect, Guinness World Records has officially named Kinect for Xbox 360 the fastest-selling consumer electronics device, which sold an average of 133,333 units per day for a total of eight million units in its first 60 days between November 4, 2010 and January 3, 2011. The record confirmation comes just after the latest release of theGuinness World Records 2011 Gameris Edition, which features dedicated sections to Kinect. "The sales figures here speak for themselves," said Gaz Deaves, Gaming Editor for Guinness World Records. "According to independent research, no other consumer electronics device sold faster within a 60-day time span, which is an incredible achievement considering the strength of the sector." Xbox LIVE is the world's leading social entertainment network with 30 million active members across 35 countries. Starting this spring, you will be able to use hand gestures and their voice to control Netflix on Xbox LIVE. Also this spring, Hulu Plus, which offers full current and back seasons of hit TV shows from ABC, Comedy Central, FOX, NBC, MTV, and more, in HD, will join other world-class partners on Xbox LIVE including ESPN, Netflix, Zune, Last.fm, Sky, Canal+ and FOXTEL. Xbox is the only place to enjoy controller-free entertainment with thousands of live and on demand sports, tens of thousands of movies and TV shows in 1080p streaming, and millions of songs -- all on the biggest screen in your home. Also coming this year, Avatar Kinect is a new social entertainment experience on Xbox LIVE that brings your avatar to life. Using the power of Kinect, control your avatar's movements and expressions. When you smile, frown, nod, or speak, your avatar will do the same. With Avatar Kinect, you can hang out with up to seven friends in a variety of creative themed environments and capture animated videos that you can share via Facebook. Whether friends getting together to socialize, social networkers looking for new ways to speak to their community or just fun reenacting your favorite movie lines, Avatar Kinect opens up a whole new world of creativity and social interactivity. (NAMCO BANDAI Games): Developed under the supervision of renowned Japanese neuroscientist Dr. Ryuta Kawahima, Body and Brain Connection challenges players of all ages to exercise both their minds and bodies with fun, fast-paced mini-games ranging from math, logic, and memory to reflex and physical-orientation exercises using the full-motion capabilities of Kinect. Body and Brain Connection is now available for Xbox 360. (Ubisoft): Featuring songs from Michael Jackson's extensive catalogue, as well as an array of his signature, awe-inspiring dance moves,Michael Jackson The Experience is the ultimate interactive game that enables players to be star of the show, with no controllers or microphones required. Michael Jackson The Experience will be available for Xbox 360 beginning April 12. (Twisted Pixel Games): From the developers that brought you award-winning hits like Splosion Man and The Maw comes an all-new Kinect-exclusive title, The Gunstringer for Xbox LIVE Arcade. Take control of an undead marionette in an epic Wild West stage production that requires your puppeteering and quick draw shooting skills to exact revenge on the Gunstringer's enemies, all controller-free. The Gunstringer will be available on Xbox LIVE Arcade this spring. (THQ): Po the Panda is back and ready for another epic, action-packed adventure in the Kung Fu Panda 2 video game. The kung fu action is taken to a whole new level with the addition of Kinect as players pick up where the movie sequel leaves off, helping Po and the Furious Five use full-body kung fu moves to save kung fu forever. The Kung Fu Panda 2 video game will be available on Kinect for Xbox 360 this May in line with the theatrical release. (2K Play): The Carnival Games series is back with exciting new ways to play! Available exclusively for Kinect on April 12, this full-body experience features 20 new family-friendly games and attractions that bring the midway to life, including Alley Ball, Shark Tank, and a Monkey Barker dance-off, as well as interactive prizes and surprises! (Warner Bros. Interactive Entertainment):Available this fall, kids and parents will embark on an uplifting and funny family adventure exclusively on Kinect. Join Cookie Monster, Elmo, and other Sesame Street characters as they explore a living storybook titled "Once Upon a Monster." Meet zany new monster friends, help them solve their problems, forge friendships, and learn important life lessons along the way.